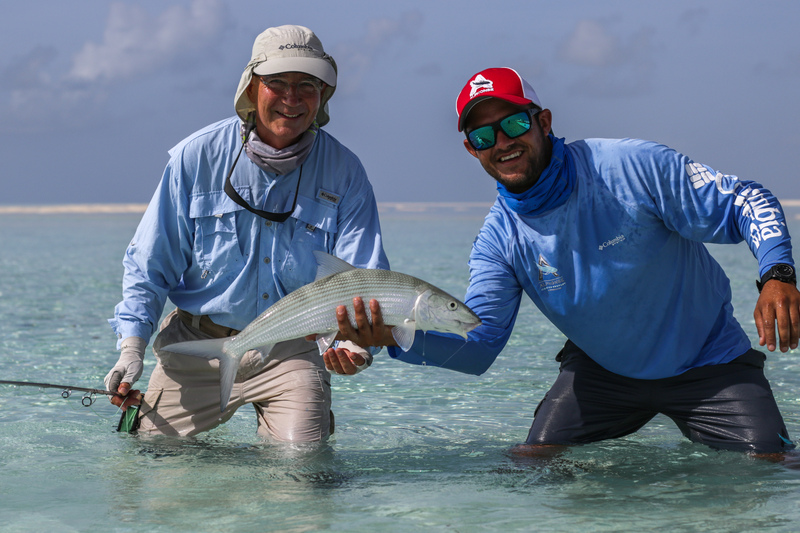 The second stint of the 2016 – 2017 Cosmoledo season began with extensive spring tides, glassy seas, high expectations and an amazing team of familiar faces. 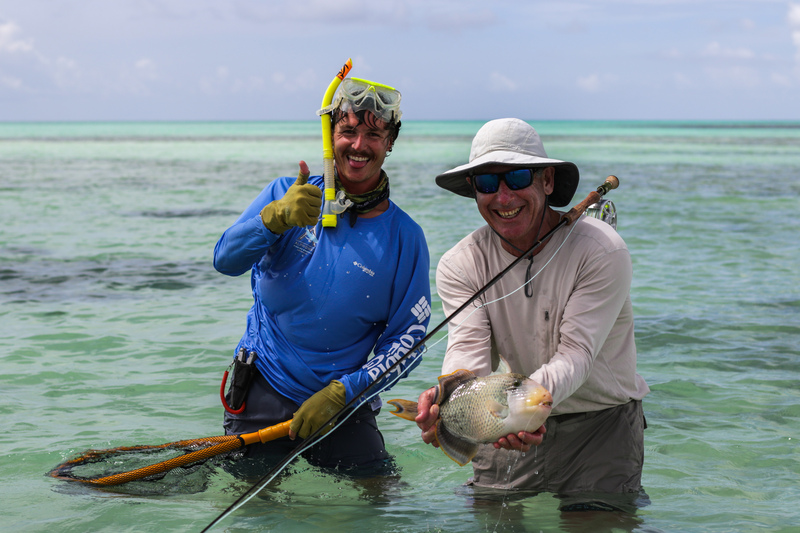 The group was made up of Patrick and Jane Q, Jeremy B and Caroline F, Michael and Jennifer McG and Tom R.
The pre-season fish survey had everyone in high spirits as the number of GT’s seen on the flats boded well for the coming weeks. 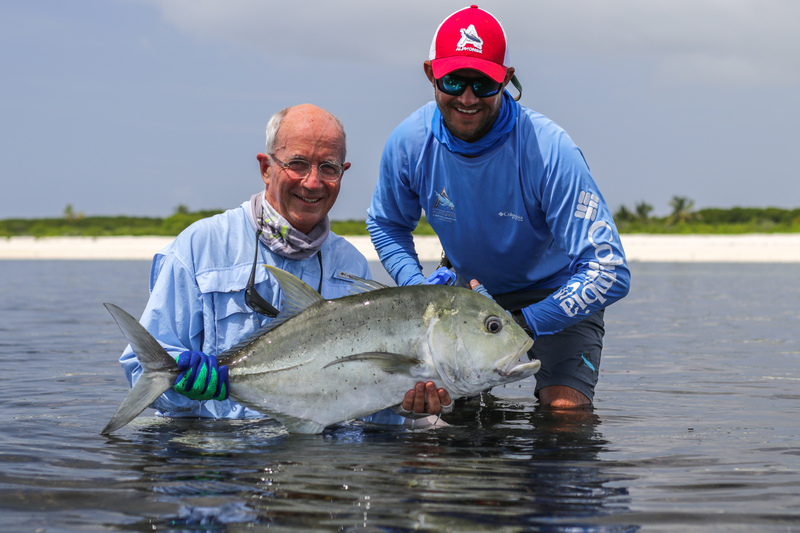 It didn’t take long for the team to get stuck into the fish with an impressive first day tally of 23 GT’s landed between 4 anglers (6 per angler). 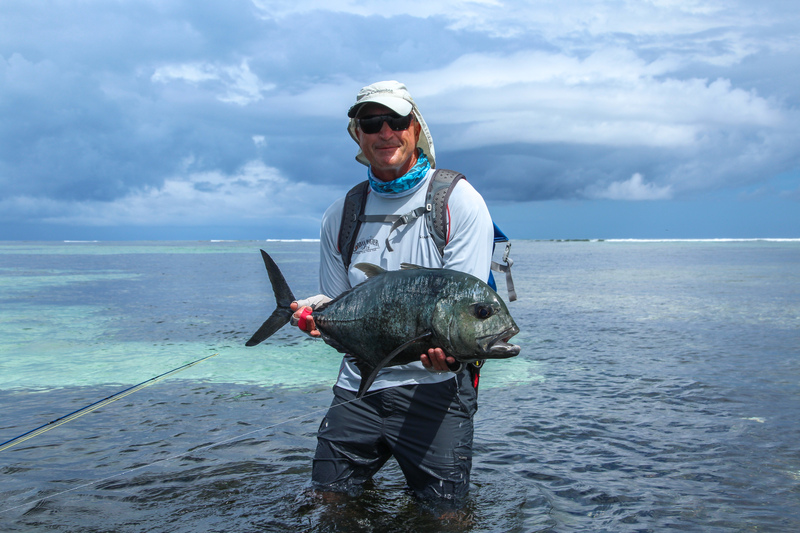 The biggest of the day was landed by Jeremy, which measured 97 cm. 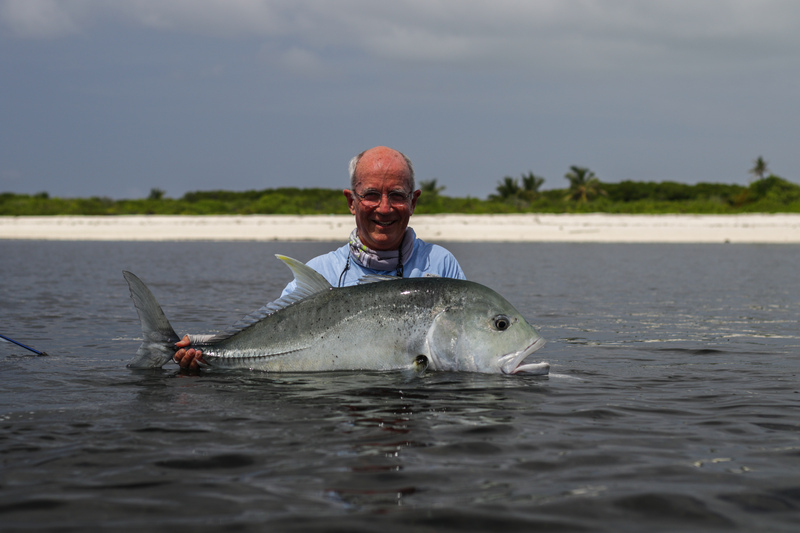 As the week progressed the stories of big fish missed or lost and even more landed continued to grow. 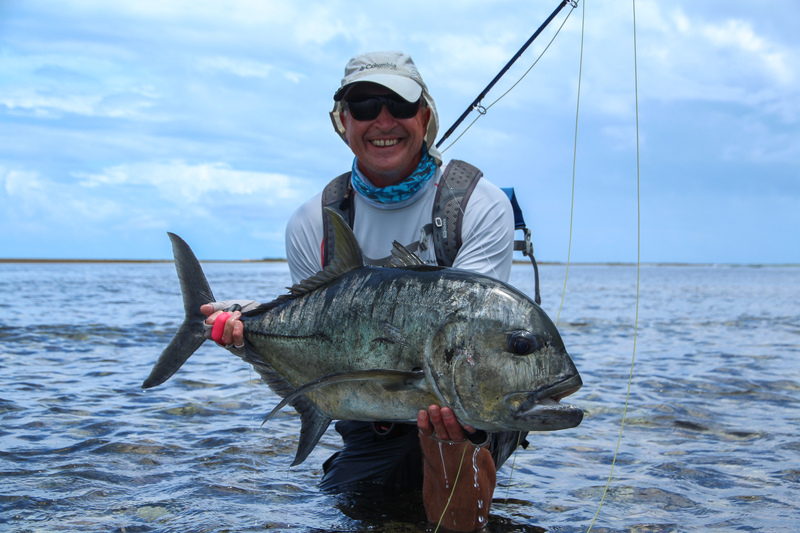 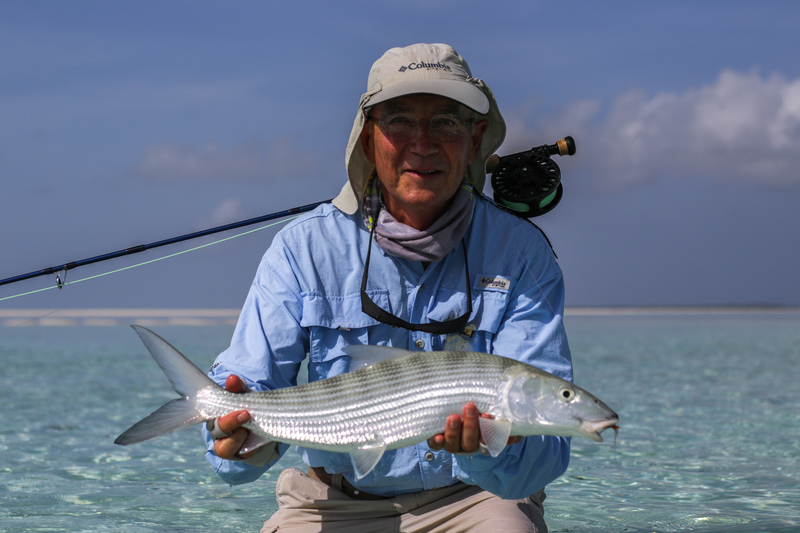 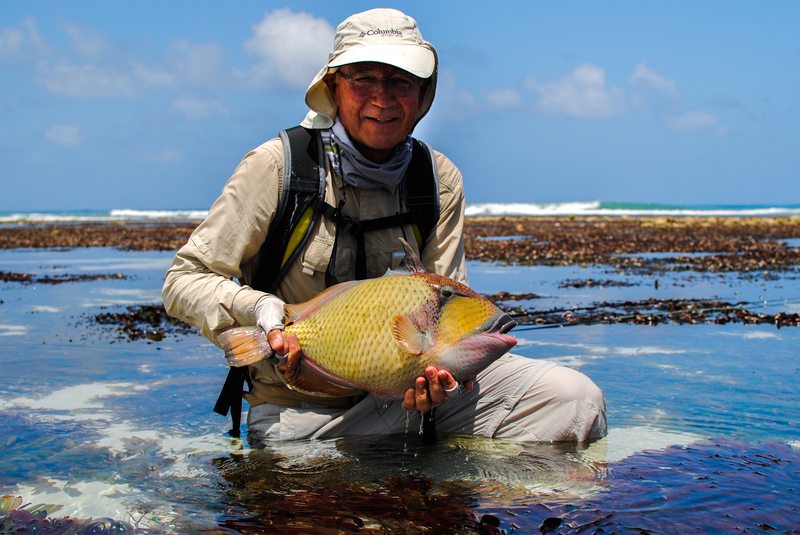 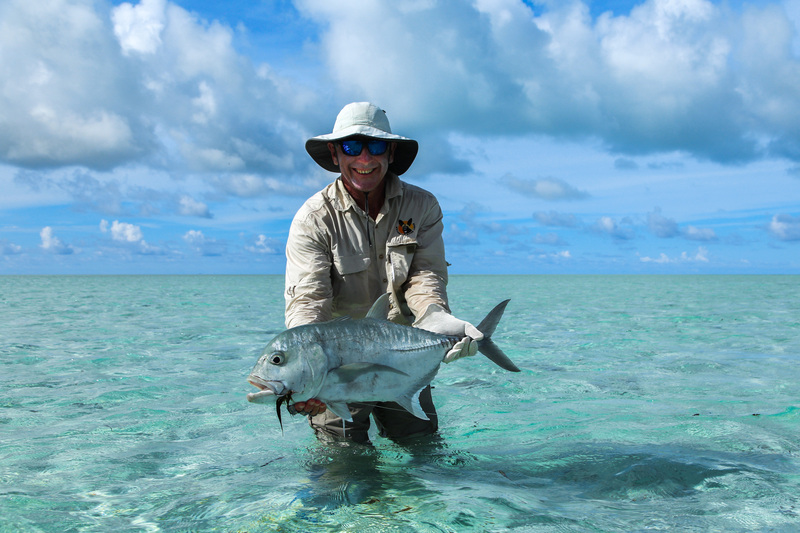 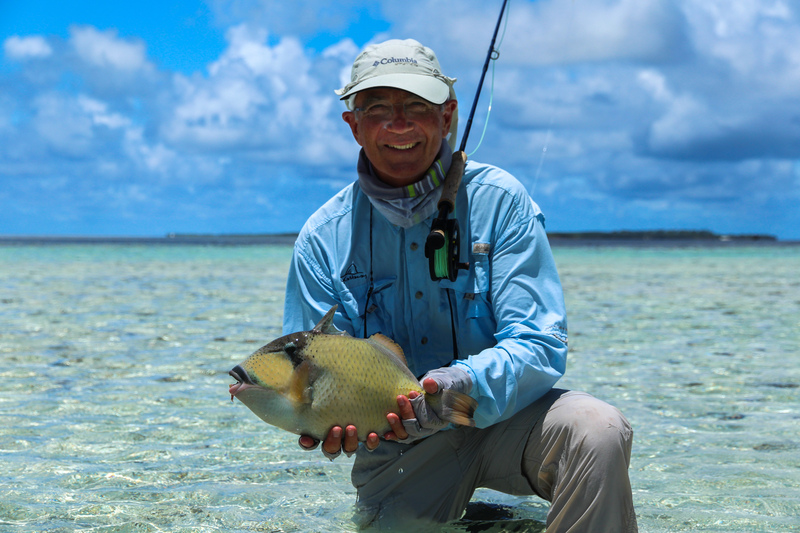 Patrick had an impressive week with a great total of GT’s, 7 trophy Bonefish and 4 magnificent Triggerfish. 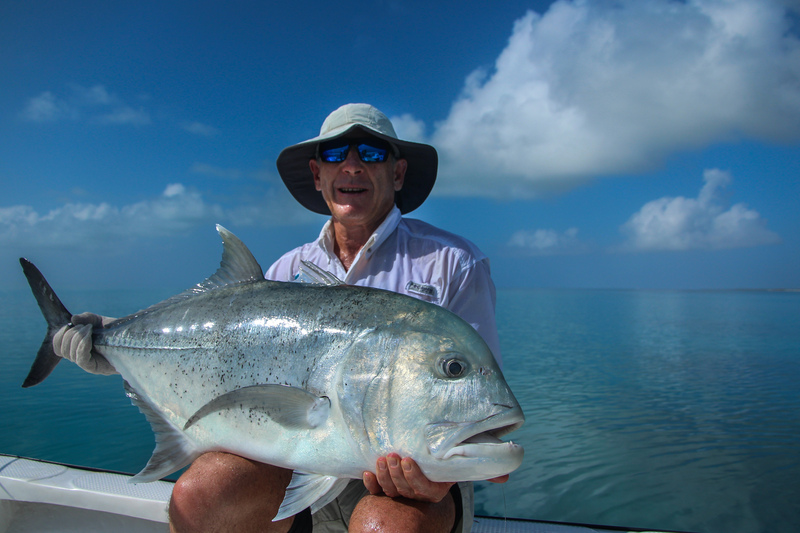 Mike’s week was equally impressive with a tally of 25 GT’s landed. 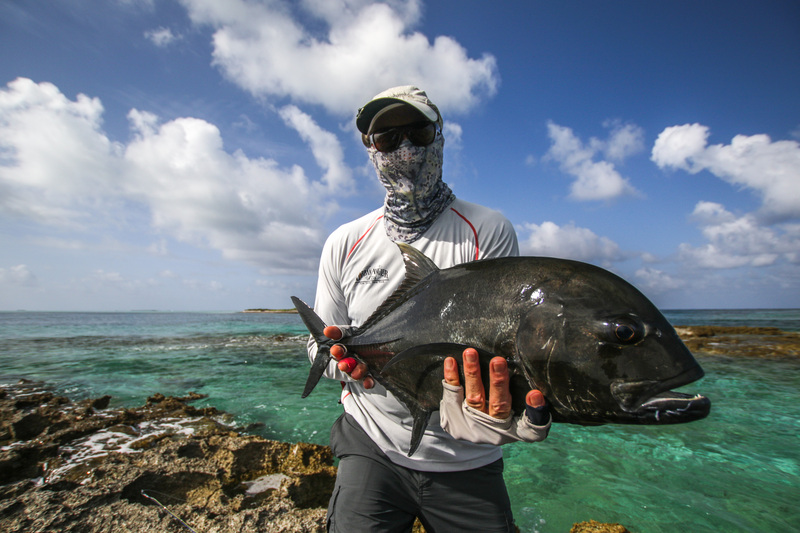 True to form Jeremy had his eyes firmly focused on gold and spent the majority of his week in pursuit of the elusive Indo-Pacific Permit. 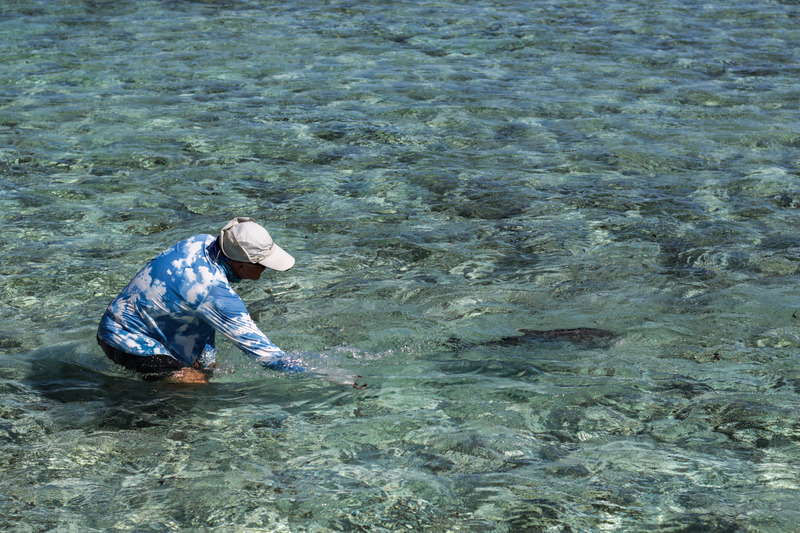 Picking off the odd GT along the way he had several opportunities to put a fly in front of these extremely picky fish. 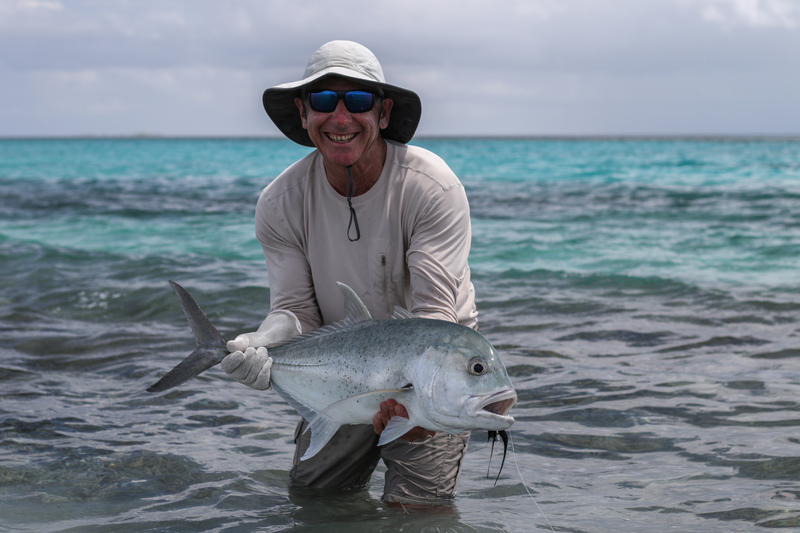 Pinpoint casting was the name of the game and on the second to last day, Jeremy made the perfect presentation. 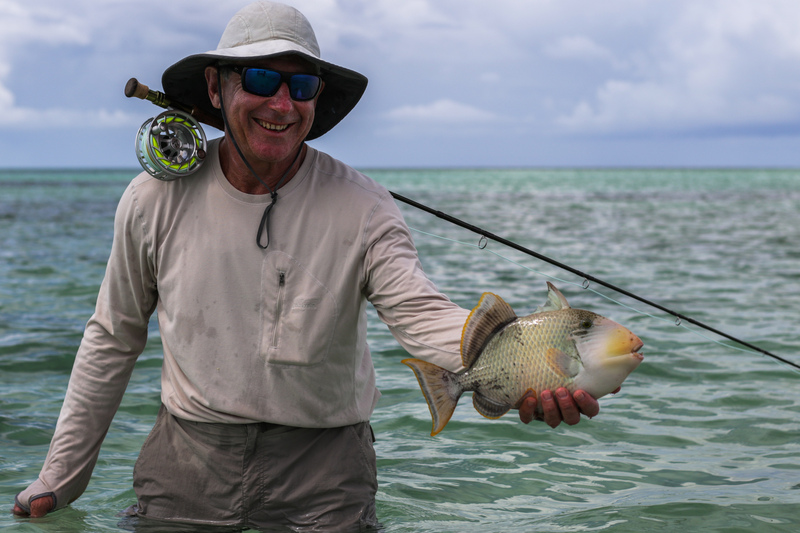 With a sharp turn, the fish rushed the fly and inhaled it without any hesitation. 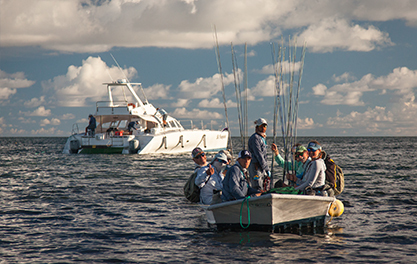 The line went tight as the Permit felt the sting of the hook. 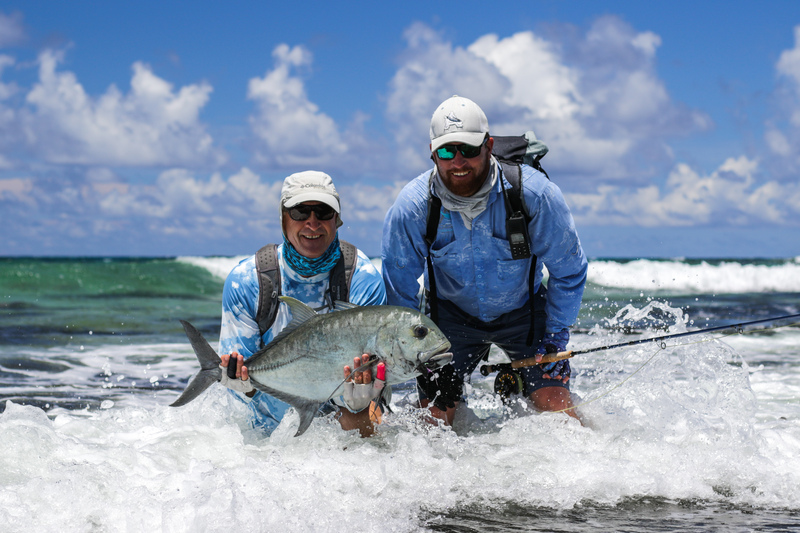 Time seemed to stand still when a sudden luge from the fish sent the fly line flying back to the boat as the leader parted. 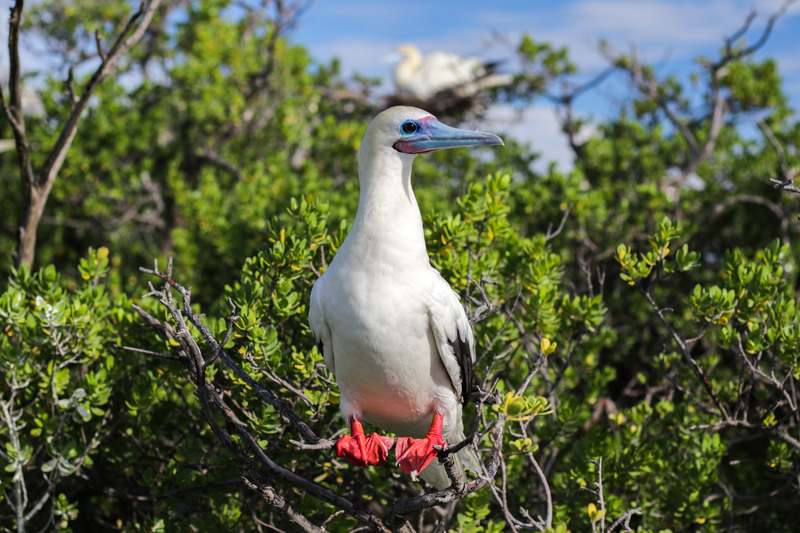 Heartbreak! 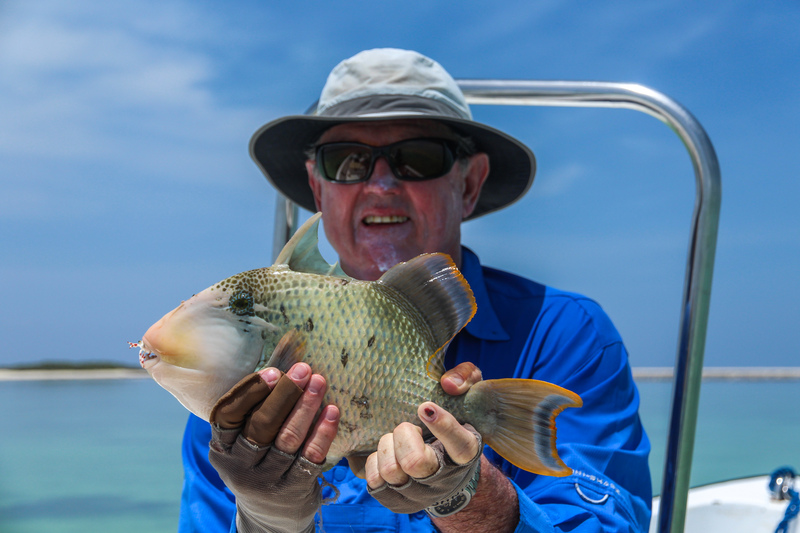 The title of champion fisherman belonged to Tom R with a tally of 25 GT’s including a trophy of 100 cm trophy, 4 Triggerfish with 3 caught in one session making for an unforgettable trip. 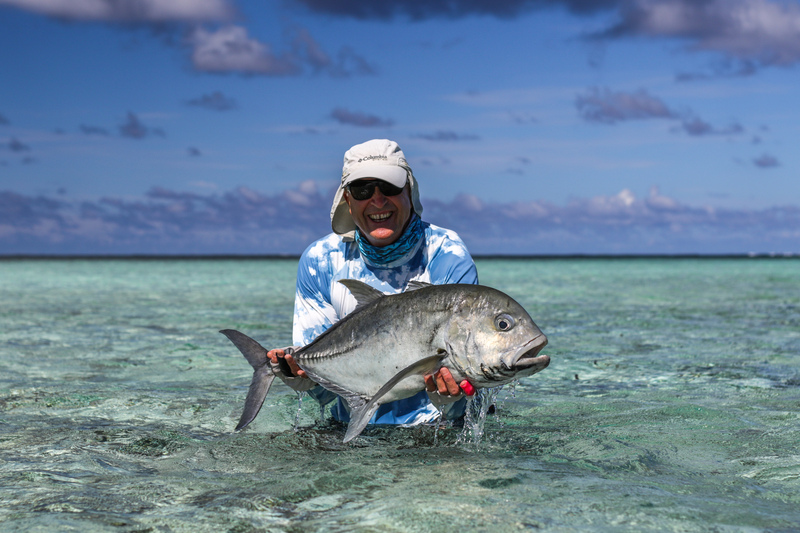 The ladies spent their days exploring the vast lagoon, islands and beaches that make up this unique atoll. 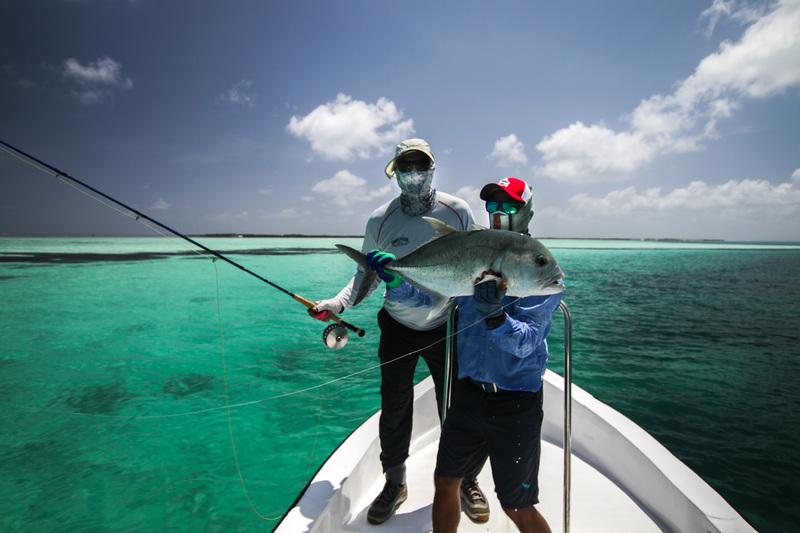 Their adventures both above and below the calm clear waters left them memorized by sheer diversity of bird life, coral colours and numbers of beautiful fish. 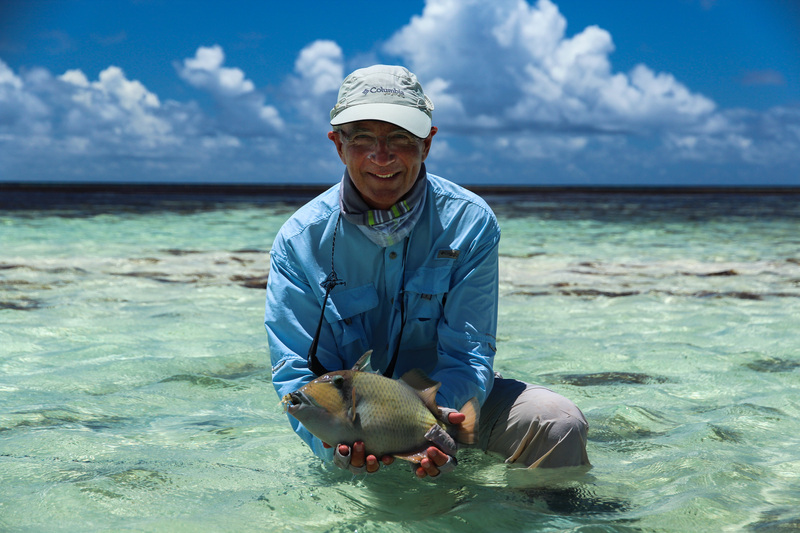 The snorkeling inside the lagoon surrounding the pirouetting coral heads is out of this world and leaves any guest with an experience not to be forgotten easily. 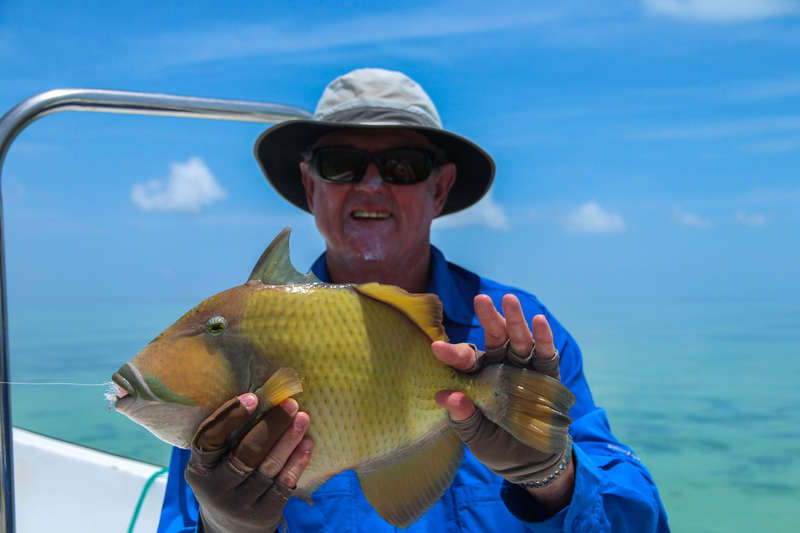 The week ended with a sensational average of 20 GT’s per angler as well as 9 triggerfish for the group. 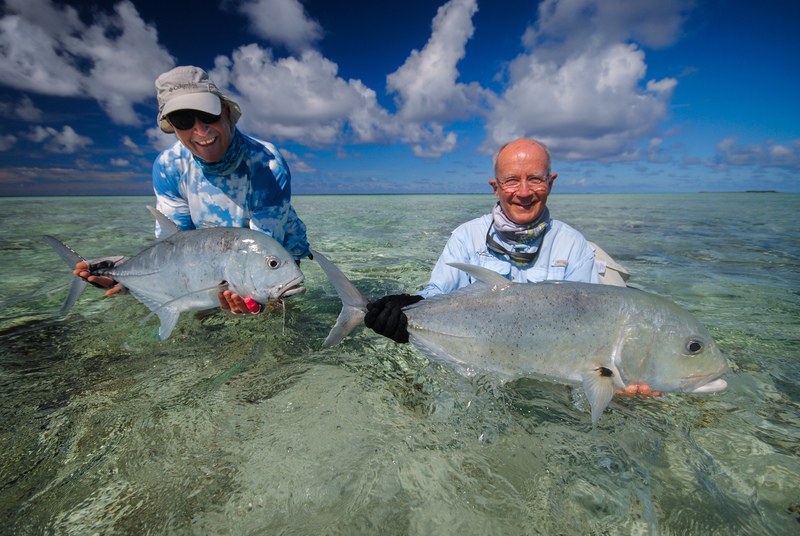 Tight lines from the Alphonse fishing Co. team on Cosmoledo Atoll. 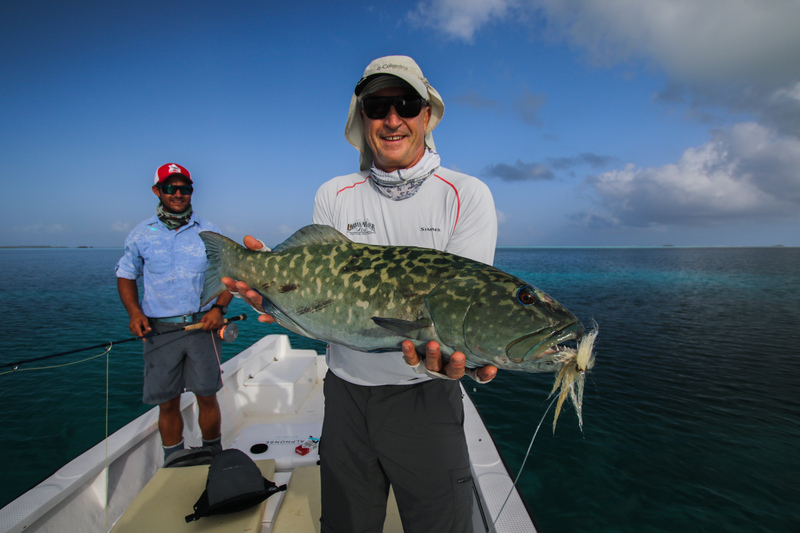 Find out more about the Fishing experience at Cosmoledo Atoll.